FAQ and Terms Used in This Site – Created to Serve You With More Knowledge! Contact me today and we can arrange your free 20 minute consultation worth £36 and discuss things in more detail. Learn FAQ referred to in this site. I hope these brief descriptions help you navagate to the information you need. Please email me or contact me using the contact form on this page if you require further assistance. Please click on the links providing in this page to take you to other more descriptive pages and external links providing more detailed information. Hypnosis is offered at Health success as a way of making changes deep within the sub-conscious mind, where the behavioural patterns are thought to be located. By using hypnosis, we can alter the brain wave state to a more relaxed state to allow for direct conversation between the therapist and the sub-conscious mind and offer solutions. The unconscious mind will always choose the healthiest and easiest solution to a problem so by offering real solutions and perceptions choices, it creates new ways to perceive an issue and make real changes, fast. At Health Success, therapist Diane Beck is trained in Ericksonian Hypnosis and various other advanced techniques including rapid induction techniques. refers to varying quick techniques of getting the client into a relaxed trance state useful for making therapeutic change. It can be a hand-shake induction, hand movement and distraction to breaking state word play. an induction term used in conduction with hypnosis and trance. An induction is the pre-talk or physical action that takes place prior to a client dropping into the altered state required to make therapeutic changes. Therapy is now very different to what was available 10 or 20 years ago. With modern technologies, results can be achieved much faster than conventional talking therapies such as Freudian Therapies which have a low success rate and can take months sometimes even years to garner a desired therapeutic result. With conversational change within trance states using an Neuro Linguistic Programming approach to success, balancing with Reflective Repatterning and the newer amygdala desensitisation techniques such as advanced TFT and Havening, a client can expect to feel better quicker. Milton Erickson: American Psychiatrist with a 50 year career and regarded to be the father of modern hypnosis. Milton Erickson was ‘modelled’ by the NLP founders. Best Selling author of numerous self-help books and celebrity therapist Paul McKenna is currently working along side Dr R Ruden to bring Havening Techniques ® to the wider public. I trained under both Dr Ruden and Paul McKenna at the Havening annual conference. Richard Bandler: One of the co-founders of Neuro Linguistic Programming. Richard Bandler still teaches NLP to a growing audience. 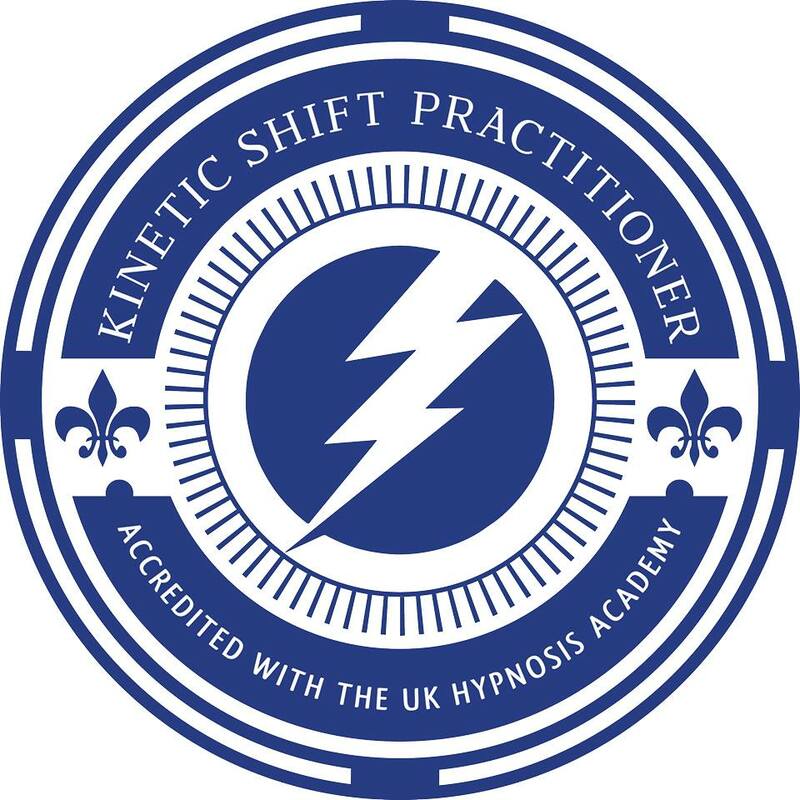 Hypnotherapy: The use of trance state and brain wave state change to bypass the conscious ‘thinking’ mind and converse directly with the control centre if you like – the sub-conscious mind which holds the key to the functioning and behavioural patterns of a subject. A therapist using hypnosis can encourage the sub-conscious to make rapid therapeutic changes to benefit a client. Trance: is another term for altered state, hypnotic state is the same as a trance state which is when the subject is allowing the subconscious to come to the fore. This happens a lot through the day naturally, when we drive a car for example we are driving on auto-pilot (we don’t think how to drive) – any learnt behaviour and method is stored in the sub-conscious. It is said that we can only think of 7-9 +2 or -2 things at any one time consciously, whereas our subconscious stores all memories and learnt behaviours, sensory memories and learnings. Stress: raised levels of stress hormones such as cortisol are released and our adrenals pump these stress hormones round our bodies. Stress alerts us to danger. a resulting trauma can change the brain landscape forever. Trauma causes chemical change in the amygdala creating the way for new traumas in the future and a heightened state of alertness to similarly coded events. When trauma occurs the subject experiences and event, perceives inescapability, aligns meaning, and the landscape of the brain is susceptible for trauma encoding. Gamma-amino butyric acid. When in a delta-wave sleep, neurons are inhibited by GABA. sensory responses that are learned like the response to the smell of a particular favourite meal or the response to the images of 9/11. are currently defined as a frequency between 0.5 and 2 Hz and are the slowest amplitude brainwaves. Therapies that use touch like Havening – produce delta waves. With a delta brainwave state you can experience more feelings of relaxation. A fight and flight response to a situation evaluated by your unconscious mind from the information gathered by your five senses and evaluated within the landscape of your past experiences. A heightened state of awareness and state of fearfulness. Anxiety is a state based in fear of a future happening or event or a past event that has caused fear. This created a learning and new behaviour and is now being used as a reaction and can even be placed in front of you stopping you feeling calm about a future event because the unconscious has ‘learnt’ it is unsafe. Just as depression its opposite state is based in a happening of the past. FEARS AND PHOBIAS ARE LEARNT BEHAVIOURS If you have learnt to behave this way for whatever reason, this pattern is kept stored in your unconscious mind to be drawn upon when your mind thinks it is needed. It can be also be completely unlearnt- or as I prefer to explain it – you can re-write the behaviour like re-writing a CD disc or tape, creating an upgrade to something more suitable to your life now. At some point in your life – your unconscious mind believed this behaviour suited the circumstances in order to keep you safe. You may not understand why this is happening to you or even know when it might happen which can create other fear around the reaction you get which for some people can create further problems. This is because the behaviour and pattern is stored in the unconscious – or the ‘sub-conscious’ part of your mind where behaviours are stored. I can communicate effectively with this part of your mind using the skill and methods I use to allow for your unconscious to create new learnings and upgrade the pattern to something befitting the outcome you want. We can also use something called Havening, which removed encoded trauma and make wonderful positive changes that can be felt instantly. For more information about Havening, Hypnosis, TFT, NLP or any of the methods I may use with you in a session to successfully treat you – please clink on their links. Diane Beck is a trained therapist using NLP, Havening, Hypnosis, Reflective Repatterning amongst other techniques to achieve therapeutic success. A RADA trained actress who worked for many TV, Film and Theatre companies before training in varying therapeutic applications, mainly in response to the growing need for fellow actors to overcome anxiety based stage fright including her own. Now Diane successfully works with people from all walks of life to help them overcome fears and phobias, trauma and their struggle and problems and to help them heal and create exciting futures. NLP: Neuro Linguistic Programming is the study of success and the application of a model to obtain repeated success in any given area. It can be usefully used in business, health, sports, personal development therapy and education. NLP was founded by John Grinder and Richard Bandler who used three successful therapists as models to study; Fritz Perls, Milton Erickson and Virginia Satir. changing perspective to create a new meaning and a new way for the mind to perceive the same thing differently. A healing modality and psychosensory therapy based on neuroscience and neurobiology developed and created by Ronald Ruden, MD, PHD, along with his collaborative partner and brother Steven Ruden DDS. Havening is the guided application of non-specific touch to de-traumatise the body and psyche from life events that were stressful and remove negative effects of traumatic memory using brain wave states and chemical reactions that depotentiate the amygdala. Laser: I offer low level laser also known as cold laser in my clinic. Low level laser is light that can be programmed to varying frequencies that can be applied on or over the body. Using Violet, Red and Infra Red wave lengths. Light Therapy: See laser. Using Low Level Laser to promote healing in the body at a cellular level. Developed and created by Christopher Milbank. Reflective Repatterning utilises meridian therapy techniques, NLP inspired language patterns and reframing and Tappas Fleming’s TAT Pressure point pose to restore balance of thought and emotion creating more neutrality. Also believed to create more energetic neutrality and works on the idea of the Laws of Opposites. Law of Opposites: Reflective Repatterning uses the basic understanding of the laws of opposites that underpins the treatment approach.